Forex Phantom is an intelligent automated Expert Advisor. It is working with its own complex algorithm with help of some indicators. 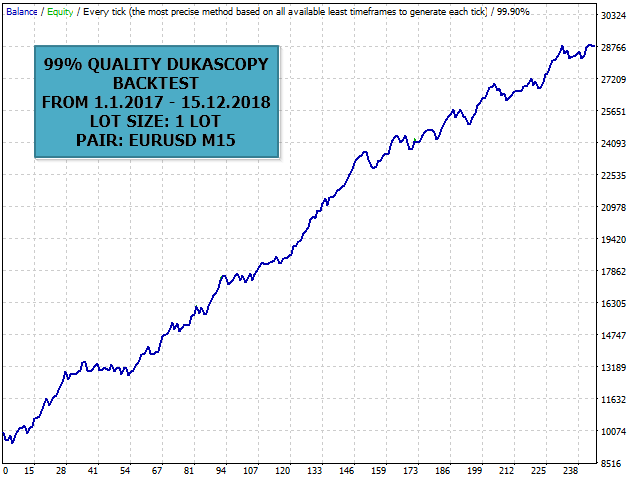 The Expert was tested with historical M15 period in EURUSD with exceptional results. You can download the demo and test it yourself. My tests were performed with the real tick date with 99,90% accuracy, actual spread, additional slippage and high commission.